Electric vehicles (or EVs) are becoming an increasingly prominent fixture in our transport system. By February 2019, there were approximately 195,000 EVs registered in the UK, and this is only set to increase. 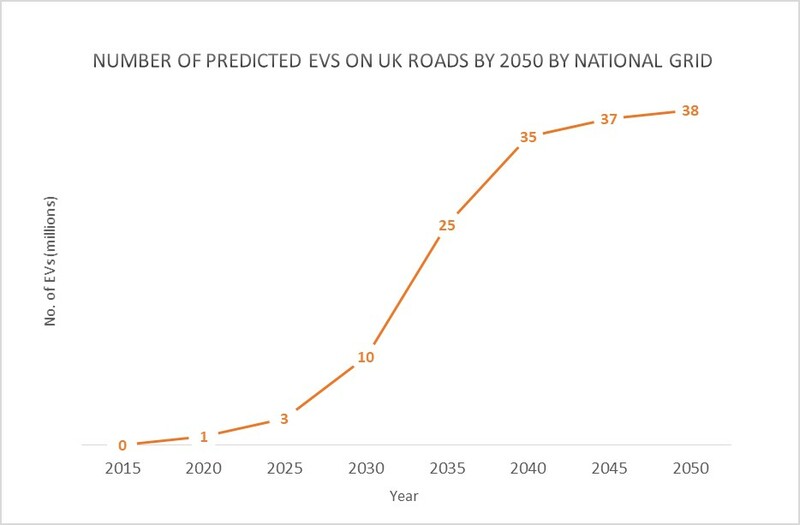 The National Grid have consistently increased their expectations for the number of electric vehicles on our roads each year, they now anticipate up to 36 million EVs on UK roads by 2040. The UK government have set out plans by declaring the sale of new petrol and diesel cars to be banned by 2040. Volvo have announced it will only manufacture electric or hybrid vehicles from 2019 and the Scottish government has pledged to phase our new petrol and diesel vehicles across Scotland by 2032. This will only make the demand for EVs greater, but one of the greatest barriers to growth of the UK EV market is the poor provision of charging infrastructure. The UK’s existing charging network is lacking in size and geographical coverage with a substantial lack of public charge points across the entire country. 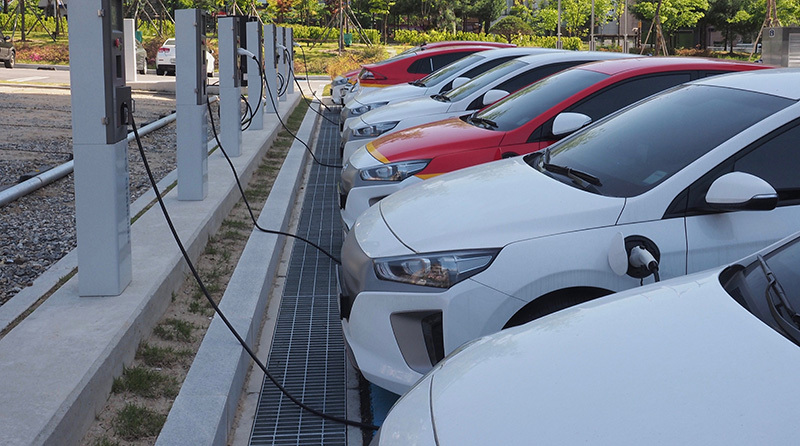 The Government’s ‘Road to Zero’ Strategy has aims to create “one of the best EV infrastructure networks in the world”. Approximately 29,000 charging points are needed across the UK by 2030 to meet future EV charging needs, and around 85% of these are fast or rapid chargers. EV drivers need to stop and charge their vehicle somewhere, and this demand is only going to get greater as the number of EVs on the road increases. They’re more likely to charge in a location where they can spend some time, and with only 3% of supermarkets in the UK having a charging point, EV drivers are looking for other places to charge their vehicle (Source: Independent). Using apps such as Zap-Map or Pod-Point, EV drivers can find locations to charge their vehicles. If you install an EV charger on your business premises, it will feature on these apps and could increase the likelihood of visitors to your business. Many of these visitors could be local, but some might be simply passing by and need to stop and charge. EV chargers could increase your brand awareness and these visitors could stop to charge their vehicle and become one of your customers. EV owners take an average time of 30 minutes to 2 hours to charge their vehicle. The most common level of charging station in public areas supplies around 80 miles of range for every hour plugged in – so it’s likely that EV drivers will want to be plugged in for at least 1 hour. This gives them plenty of time to make full use of your business premises e.g. browsing your store, visiting your gym/leisure centre or your restaurant. By installing an EV charging point outside your business, you could generate additional revenue by selling the electricity to the EV driver. Businesses can retain a profit on the price the driver pays to charge their vehicle, so the more EV charging points you have the more revenue you could generate. There are ways that you can create incentives for your customers or members by giving free or discounted charging at your business. This can strengthen customer loyalty and increase visit time with customers who are already loyal to your business. Once you install an EV charger, your business will be included on smartphone apps that show EV drivers the local charging stations nearest to them. It may make the difference between a visit to you over your closest competitor. EV drivers are also more likely to re-visit after a successful charge which can give you that competitive edge and literally put you on the map in a positive light. As the government EV plans get into full swing, it won’t be long until the Government puts even more pressure on businesses to switch to EVs. By installing an EV charging station in your business, you will be one of the first to mark your place on the map for EV drivers. Businesses are becoming more environmentally responsible, which is only set to increase over the next few years. Installing EV chargers will enhance your businesses green credentials showing physical evidence of your environmental awareness. For more information on EV Charging, give us a call on 0115 975 8528 or download our guide.